“Nurses are essential to changing our nation to a culture of prevention because of our sheer numbers, our presence in every cultural community, and because we are so trusted by the public. The fact that a school nurse must be shared between institutions and have been cut so drastically across our nation is an appalling example of how the low number of nurses in proportion to a population can produce devastating effects. Our nation is leading in childhood obesity and teenage pregnancy when this statistic could be redirected if an ample number of nurses were employed by each school. 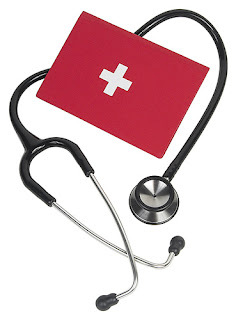 But alas the significant contributions made by nurses are neither encouraged nor widely recognized. This is why I am now a supporter of HR 1119 The National Nurse Act of 2011. This legislation will elevate the Chief Nurse Officer of the US Public Health Service to a prominent position with the unique title of the National Nurse. From this vantage point, a National Nurse will be able to raise awareness of public health issues, offer authoritative guidance on implementing evidence-based prevention, and encourage nurses everywhere to become involved in their community’s prevention programs. With healthcare reform on the horizon, now is the time for all nurses to become activists to help our nation shift to preventative medicine. HR 1119 will be a way to get this process started, and it will raise the importance of public health and recruit youth into community nursing careers. I hope I can count on your support for HR 1119 . We need articulate nurses with a passion for improving our society to become advocates for this initiative. If you have not already done so, please visit the website: http://nationalnurse.org and contact your area Representative to urge support of HR 1119 . This grassroots movement continues to grow because nurses like you get involved. 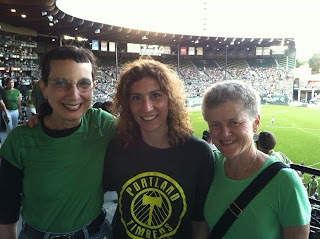 Last night supporters of HR 1119 The National Nurse Act of 2011 gathered at Jeld Wen Park in Portland Oregon to cheer on the Portland Timbers soccer team. We want to thank the Portland Timbers soccer team for generously donating a portion of over 80 tickets to the National Nursing Network Organization. This contribution will help defray the cost of the next planned trip to Washington DC. Special thanks to Elizabeth McPhee RN, Chair of the NNNO Advocacy Team who took the lead and made sure that every ticket was sold!